Towards the mission of community healthcare, IMC built the first food supplement factory in 2008. Previously, IMC had produced and launched 10 high-quality food supplement products, which had logged an early win and well-received by customers. In 2013, IMC was delegated to carried out the project “Research and development to master the technology of industrial-scale production of some products containing microorganism, enzyme and protein” belonging to the “Research, training and construction of hi-tech infrastructure program” of the Ministry of Science and Technology. With this project, IMC had marked its name in the Vietnam food supplement market with materials derived from biotechnology. Thanks to these new materials, the product line of boosting immune system under IMC trademark has been launched sequentially and well- received by customers. 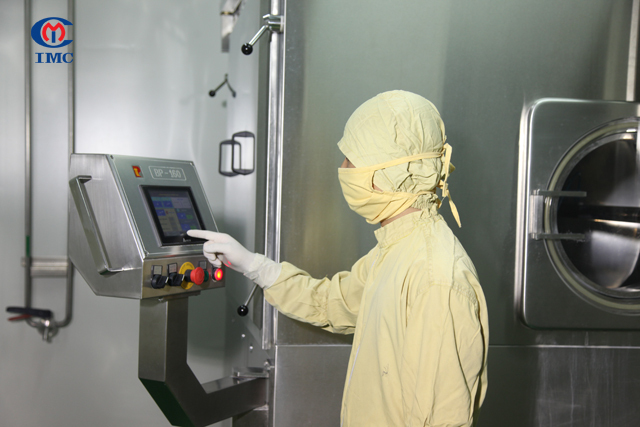 In addition, IMC has been expanded and built Quang Minh 1 high-tech factory, which was certified GMP certification. IMC also owns the first biotechnology factory certified GMP certificate. 2018 – SunBioZyms Biotechnology Factory was built which marked the completion of the five-year road map of project within the program of Ministry of Science and Technology. Two hi-tech factories, namely Quang Minh I and Quang Minh II, officially came into operation, promising to launch more products applied the biotechnology materials in Vietnam. 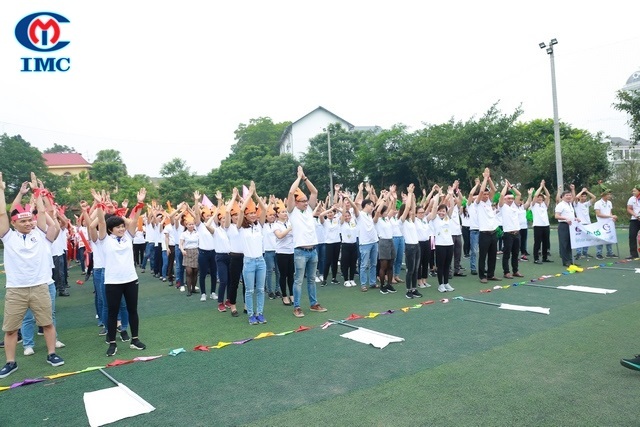 Overcoming 15 challenging years, IMC has proved its position in domestic and international market, become a pioneer in the field of food supplement manufacturing in Vietnam, and also the number one choice of the leading food supplement distributors in Vietnam. 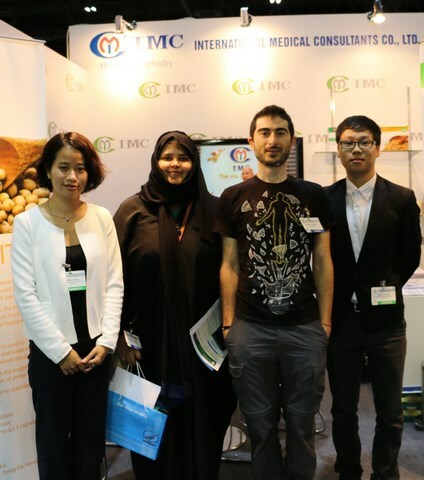 IMC is also one of the pioneers in bringing Vietnamese identity food supplements into the international market. Many products manufactured by IMC have been exported to Singapore, Philippines … and well trusted by consumers. IMC has this position thanks to the wise choice of the Board of Directors in cooperating closely with the leading pharmaceutical and food supplement experts in the research and development of products, and collaborating with other authorities such as the Ministry of Health and the Ministry of Science and Technology in research, development and investment of food supplement production technology in Vietnam. With the willingness to acquire new technology, leapfrog the world’s trend of food supplements, and make a distinctive mark with unique formula, IMC emphasizes to invest in modern infrastructure and high-tech equipment for research, production and quality control, becoming the most modernized company in Vietnam. To contribute to this success, it can’t help mentioning the role of the staffs who have been cohesively working at IMC throughout 15 years. “Heartfelt empathy”- the message is clung tightly to every IMCers. Every staff deeply understands the mission of caring community health that IMC works towards, and each one is an indispensable link in the chain of activities that brings the values of health, material and spirituality for community. At IMC, every staff is given maximally favorable condition to work and develop his ability. Thanks to that, during 15 years, there have been many generations growing up from IMC, and many excellent staffs have started up their own career and business. However, they still stand together with IMC’s broad of directors to contribute to the mission of caring community health. It’s undeniable that Party Committee, Trade Union and Ho Chi Minh Communist Youth Union of IMC play an important role as a “connecting bridge” contributing to our achievement. Established in 2009, after 10-year ardent operation, IMC’s Party is the only internal company Party committee, belonging to the Business Party Committee of Dong Da District. IMC’s Party Committee has cooperated with the Board of Directors, the IMC’s Trade Union and IMC’s Ho Chi Minh Communist Youth Union to promote many emulation movements of working, creativity, scientific researching, cultural and sporting activities, charity; care for life and encourage all staffs in our system. The movements of “Studying and following President Ho Chi Minh’s moral example”, “Practicing thrift and fighting wastefulness”, Spiritual training, 5S, Kaizen (improvement), Loving and sharing Spring …, which are frequently promoted, combined and bring into reality through practical activities by IMC, have received positive response of all staffs and been highly appreciated by the Party Committee of Dong Da District. On the 15-year road, each IMC’s staff has been working towards the biggest objective of caring community health, using our enthusiasm to create the strong connection between Scientist-Manufacturer-Distributor-Consumer in Vietnam and over the world, moving towards the general goal of manufacturing the highest-quality functional foods, based on emphasizing customer centricity and committing product quality. IMC commits that we are willing to cooperate with other companies and organizations sharing the same mission, working towards the same goal of launching the Vietnamese functional foods to reach the world-class.